Let us know and we'll recommend the mattresses features you should keep an eye out for! 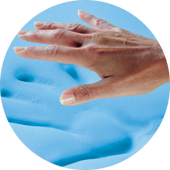 All foam beds are your best bet in reducing motion transfer because the foam does a great job absorbing movement. If all foam beds aren’t your cup of tea, look for a mattress with individually wrapped coils or hybrid mattresses - mattresses that implement coils and foam - as these will also help reduce disturbances from your partner. The Marvelous Middle is Restonic’s patented technology that provides more support in the center third of the mattress - where it’s needed the most. This technology does a great job of reducing back pain, shoulder pain, and sagging that can occur as mattresses age. Mattresses that have these features will do a wonderful job of regulating temperature as you sleep. 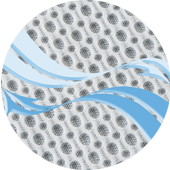 Outlast technology, originally developed by NASA and employed in Restonic mattresses, is able to offset temperature changes as you sleep - keeping you not too hot and not too cold! 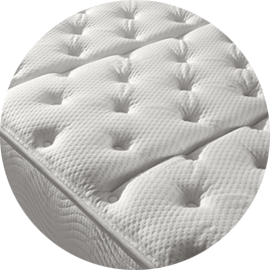 Gel infused memory foam similarly regulates temperature by eliminating excess heat rather than storing it in the mattress. All Restonic mattresses come with a standard 15 year warranty - 5 years longer than most mattress retailers - which will ensure that you're sleeping on the best possible surface for as long as you have your bed. 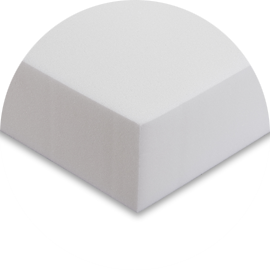 Hypoallergenic foam can be great for people that are prone to late night sneezing. 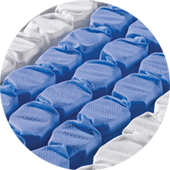 This foam reduces dust mites in the bed, and in turn can help relieve allergies that may keep you up at night. No Problems on This List! Maybe the issue you're experiencing isn't on our list, or maybe you're not quite sure what you're looking for in a mattress yet. Not to worry! 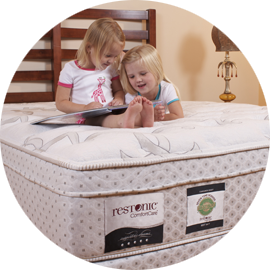 Wilcox has a wide selection of Restonic mattresses that will ensure you'll find what you're looking for. Click the link below to learn more about Restonic mattresses and how they can help you get the best night's sleep of your life.